I have brought you few posts about why I love my dogs and how I give them extras to show them how much I love them, but I haven't brought you a subscription box just for pets! You may have heard of PetBox. Lilly and Danny are loving their box, so keep reading to learn more! What sets PetBox apart is that the member—not PetBox—chooses the items that go in their monthly box. During sign up, members fill out a pet profile that is designed to help the consumer shop for products that are tailored to the needs of their dog or cat. Members also have the option to be “surprised” each month with a curated collection of tailored products chosen by the PetBox team. Our PetBox came with six products in it! Six products both of my dogs completely love! We got the Aussie Ear, glow for skin & coat, bistro bites peanut butter & applesauce healthy treats, The Honest Kitchen's scrumptious quickies Sweetheart treats, TropiClean Clean Teeth Gel, and the FURminator. The hygiene product that came in our box was TropiClean Clean Teeth Gel. The TropiClean is a product that I will be able to use for a while. My dog's teeth are overall pretty clean, but of course they need a little attention. The TropiClean smells great! When I put it in Danny's mouth, my poor doggy just licks and licks and licks! He was going crazy! I couldn't get close enough to his mouth with a camera, so you'll have to trust me when I say his mouth seems a tad cleaner already! My favorite product from the box is the FURminator! This deShedding tool is made for long haired dogs and claims to reduce shedding up to 90%. This is a big deal for me and anyone who has come into my home as you are bound to leave with white dog hair on you, no matter what. You stand, its going to be on you. You sit, well... Of course its going to be on you. With the FURminator, I can brush Danny and keep this problem under wraps! I love this tool! It works so well! Not only does it get the hairs that are about to fall off, but it has a button that releases the hair. No scratching my hand while trying to clean it out! This really is a great product. Before we talk about the treats, take a look at Ally working with our dogs a little, giving each treat! They love her and she loves them. Great match! The four kinds of treats that came to the dogs were really great. Overall both dogs enjoyed the glow skin & coat treat. These treats are made from fresh eggs to provide the highest quality bioavailable protein, including the calcium rich shell. The scent isn't too bad, and you can tell they are made from eggs! Next up, we had the bistro bites peanut butter & applesauce treats. These treats a pretty small, of course they are "Healthy treats for small dogs." As both Lilly and Danny are rather large, these are great for training purposes. We do a lot of regular tricks like sit, shake, high five, but we are trying to get to the harder ones. These are perfect for that. The SCRUMPTIOUS quickies Sweetheart treats are a small treat as well. Quickies are in a heart form and made of dehydrated Haddock. You can for sure smell the Haddock when you open the canister! My dogs have been going crazy around this little tube since I removed it from the mail! Last I want to tell you about the Aussie Naturals Aussie Ear. It is 100% Natural Water Buffalo. I liked how big this was. As I have 2 dogs, I was able to bend it (after a little hard work) and then cut it in half. A little work for me, but both dogs are happy. 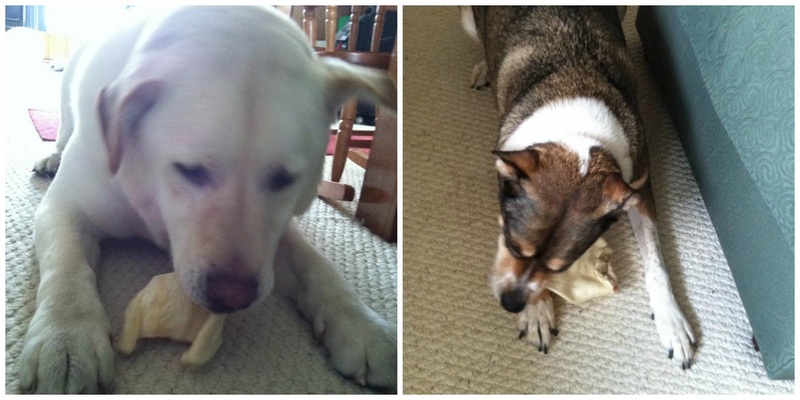 They love to chew! I feel like PetBox knew exactly what we needed. These products are perfect for my pups and perfect for my home. 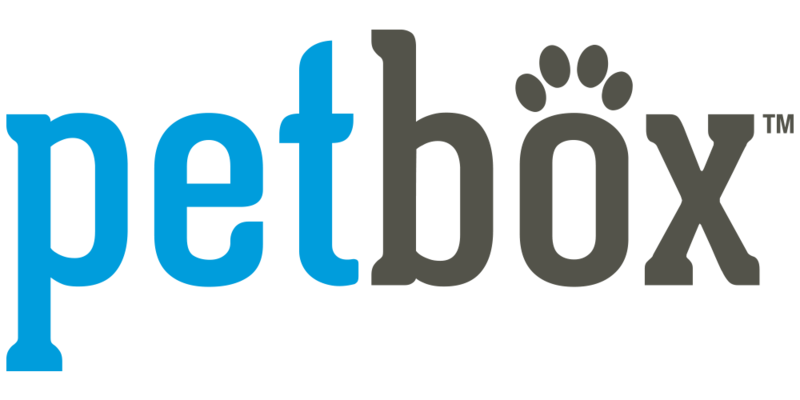 To check out more on PetBox, take a look at their website and make your furbabies happy! Disclosure: A special thank you to PetBox for giving Sweet Cheeks and Savings this opportunity to work with them. We received these items free of charge from PetBox. No monetary compensation was received or offered, nor were we under any obligation to write about this product. All opinions expressed are honest thoughts. We were not offering any sales or taking orders for this item. We will not receive any compensation in connection with any sales of this item. I think this is so cool and I should totally get one for my Milo. He is still newish (we just got him in December), so we are still trying to figure out what he likes, etc. This box has so much in it & I love that. Awesome! We have a yellow lab, too--- so I know about that white hair. I've heard about the Furminator and need to get one for Max! 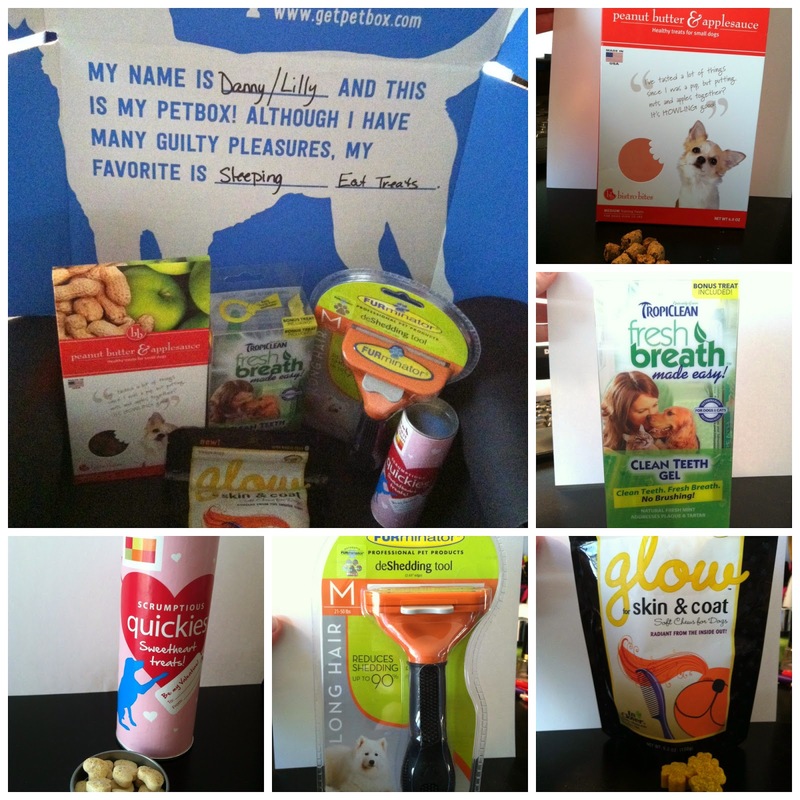 PetBox sounds really cool, too-- going to check it out now. Too funny with the reaction to the toothpaste. I'm glad the pups are thoroughly enjoying their petbox! Aww, they look so happy with their treats. We don't have any pets, but my best friend does. Will have to tell her about these. We got a petbox back in December. It was AWESOME!!! My dog seriously loved it. And so did we! I think we need to get another one soon. I really like that you get to choose the items yourself. I can't tell you how many times I've gotten something in the mail that had items in it I knew I would never use and a few times I had trouble finding anyone who could. That made me feel like the company was just pawning off junk no one wanted on me. That's not a good thing ever. So adorable, they are enjoying their treats so much! The Petbox sounds like fun because you get a box full of surprises, I'd be just as excited as my pet. We don't have a furry friend anymore but this would have been great when we did! Haha- the FURminator- I need that for my cats! I've heard a lot of great things about this box. Loved all your pics! What a great box!! Your pup is gorgeous! I want a dog but honestly, I don't have the patience right now so I'm holding off. I bet this box makes it a little easier. I'm act owner but this sounds really good for your dogs. How very clever. I like that the member gets to choose. I hate it when companies chose for me. Why should I pay for an item I will never use? My dogs would love this, they have been in so much trouble since we moved. They are getting into everything and waiting everything. I need to find their treats or go buy new ones as they are just plain bored while we get settled. I love that this pet box comes with an assortment of pet friendly products. It's important to pamper our pets too. Oh my goodness...I didn't know there were subscription boxes for pets! Okay this is a super cool box. I am going to have to get this for our pups and tell my cousin about it! I think you are going to have some spoiled pups! :) The box looks so fun! And worth the price!! I bet they loved getting this box! I love this new monthly box craze! We have a new puppy so I appreciate hearing about products like this that i wasn't previously aware of. I love that you get to pick what goes in the box! That's definitely different than other boxes. I don't have a dog but would imagine there is something like this for cats. What a great idea; everything in one place. What cuties enjoying their treats. We dont have a dog right now but just heard about this monthly service. This is a great idea! I wonder what options they have for cats.